The Gun Johnny Disposable Waterproof Gun Case was developed as a protection device for firearms against the elements - an "emergency poncho" for your gun. It has a built in tie so no extra components are needed to close the bag around the firearm. In addition to protecting from water, scratches, dirt and mud, it has VCI protection for long term storage to prevent corrosion. This low noise plastic gun sock fits in your pocket and is economical enough to be stored in multiple places so your firearm can be protected on the go in all situations. 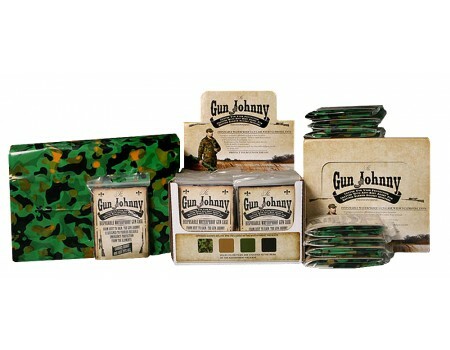 It is available in camo, green, tan or black or an assorted pack of 24.